Ssamjang is the superb seasoning for the ramyeon soup stock! So, add in a little soybean paste to enhance the flavors of your bowl of ramyeon. Do note that there are various types of Korean soybean paste like Gochujang and Doenjang, whereas Ssamjang is actually a combination of both flavors. Also, Ssamjang is beneficial for you as it is pack with nutrients needed by our body. Tofu is said to be included in almost every Korean dishes, such as our ultimate favorite Kimchi Jiggae and Bibimbap. What better way to funk up your ramyeon by adding a few slices of cheese! 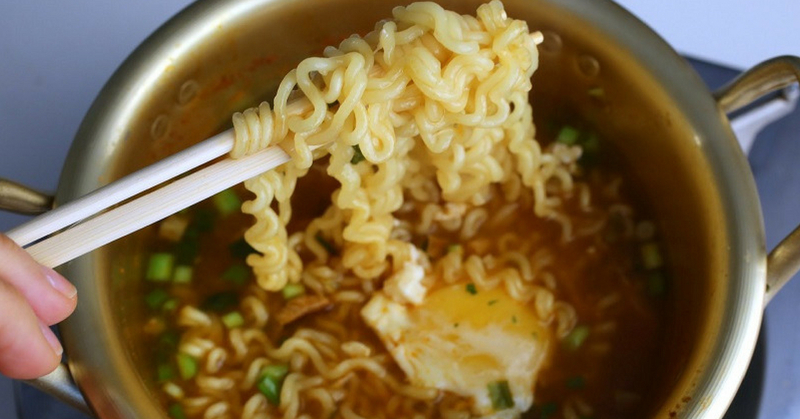 Most Koreans prefer adding cheese into their ramyeon as it gives out a more creamy texture. Instant flavoring is a common thing for us especially when it comes to prepping instant noodles but Koreans will usually save up leftover soup stocks from other meals so that they can use it for their ramyeon too. Leftover soup stocks have more flavor in it, thus making your ramyeon taste even better! You may choose to disregard this option if you’re a lactose intolerant, but adding milk into your soup will change the taste profile of your ramyeon. Milk is a good thickening agent and it smells heavenly if you manage not to burn it in the process.